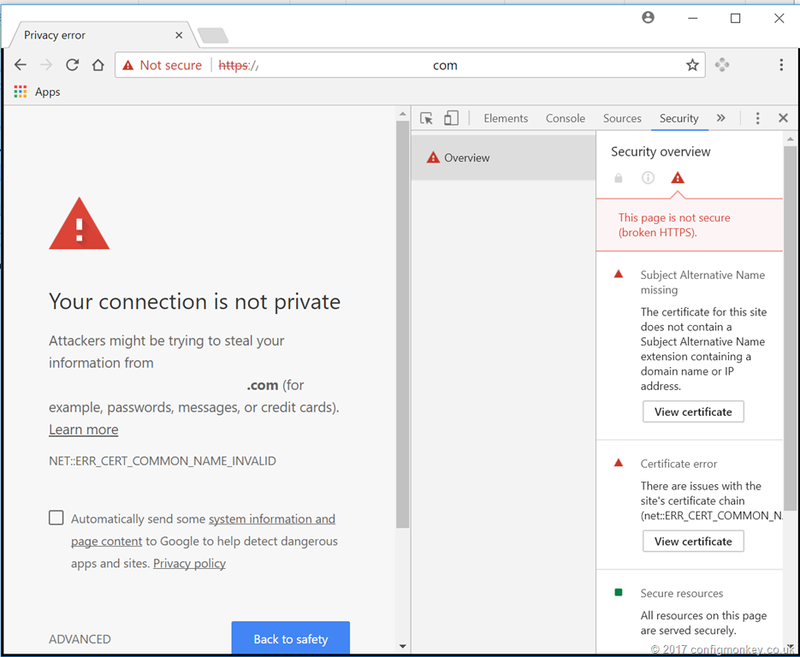 The issue stems from the method used to request the certificates and how Chrome processes them for TLS verification. Internet Explorer is able to use the commonName to validate a certificate, Chrome however does not accept this. Instead it uses the subjectAlternativeName property to validate certificates. Simply re-generate your certificates with appropriate SAN names in the Certificate Signing Request (csr). Usually this would be the fully qualified DNS name and short name i.e. Next Next post: [Windows 10] Windows 10 Updates CU, B, C, D. What are they and how do they work?